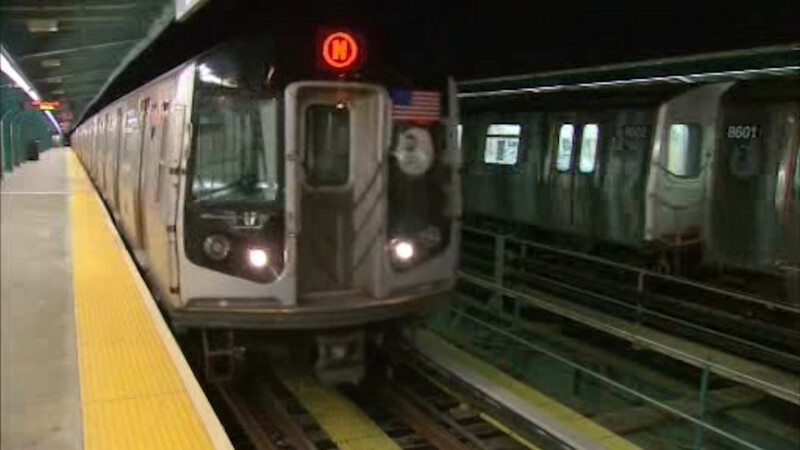 BUSHWICK, New York (WABC) -- The planned reconstruction of a section of the M subway line continues to frustrate dozens of Bushwick residents as they look for answers from the MTA about the relocation process. According to the MTA, 26 apartments are slated to be cleared next summer for at least eight months while the concrete viaduct that connects the Myrtle Avenue and Central Avenue stations is replaced. The MTA says it has begun the process of reaching out to all of the impacted residents and businesses on Myrtle Avenue and Ditmars Street. "We have spoken to all of the homeowners and have been in contact with approximately 70-80% of the tenants that will be affected. We will meet with everyone and tailor plans to the specific needs and circumstances of each tenant and property owner," said MTA spokesman Kevin Ortiz. "We understand the serious inconvenience that each of these individuals are likely to experience in order to allow us to undertake this critical infrastructure project and we will do everything we can to minimize the impact on this community." Residents of the impacted buildings haven't been happy with the fact they haven't received straight answers from the MTA about the relocation plan. "They want us out for at least 8 or 10 months and we're concerned where we're going," said resident Gregory Hernandez. "They haven't told us where we're going." No matter the headaches for people in Bushwick, the MTA says the work is a top priority and necessary. "The 103 year-old Bushwick viaduct was not built to last forever. It remains safe for subway riders today but severe deterioration of the concrete deck and other components require that it be replaced," said NYC Transit President Veronique Hakim.